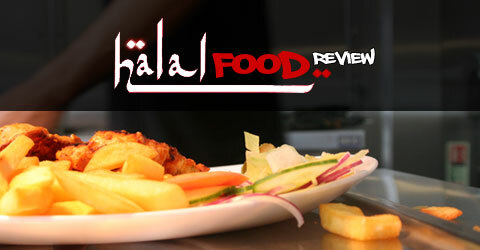 Salaams and welcome back to the Halal Blogosphere where today we have a special guest review from a Halal Food Reader and a dear friend of ours Modasar Rasul. Following on from attending Kristiane Backer’s book launch ‘From MTV to Mecca’ at the amazing Hubb Arts Centre, the wife and I with 2 kids and a baby in toe set out on a cold November evening in search of an evening meal. After some discussion, we decided to check out the newly refurbished Al Rabie restaurant on Coventry Road. The restaurant is well placed in the heart of the Arabic restaurant quarter in Small Heath and has a warm and inviting exterior. The restaurant opened a few months ago and is run by the same team that manages Bader a couple of doors down. Upon entry we were warmly greeted by a friendly waiter who asked us where we would like to sit. We opted for a family room to try out a different experience and more relaxed experience especially when you have the kids with you. The ambience of the space was inviting and warm the decore is of a high standard and has a distinct middle eastern feel to it. We were guided to the one of the four family areas situated towards the rear of the restaurant. Al Rabie is a spacious, arabesque styled Lebenese restaurant which has a laid back no fuss approach to eating. One could even be mistaken for thinking they are in an up market café at times. The layout is contemporary but informal with a warm welcoming feel. For the more seasoned ethnic foodie there is even a floor seated family area towards the rear of the restaurant which makes for a really nice traditional touch. The bathrooms and wash facilities are top notch and clean which is a big improvement on a lot of other restaurants. Although the menu lacked more adventurous options, it did offer a standard range of Arabic dishes and was very well priced. For our starter, we wanted something light and went for the Feta Cheese Salad which promptly arrived and was a visual delight. The fresh salad was beautifully layered with generous pieces of feta and drizzled in balsamic vinegar. It tasted as good as it looked! For the main meal we opted for the chicken grill platter, the waiter hastened to inform us that it was sufficient for 2 or possibly 3 adults. We were two adults, two children and a hungry baby, so as a precaution, we ordered an additional portion of fries and we prepared ourselves to order more dishes if needed. For drinks, we decided to test the freshly squeezed juice option and went for a mango juice and orange juice. These were juiced immediately and delivered in large glasses with fun straws which the kids found amusing. They went down a treat! Within a short period of time, chicken steaks, skewers of chicken kebabs, chicken shawarma and a generous portion of wings arrived on a large platter of aromatic rice, layered with peppers and roasted tomatoes. This was accompanied with a complimentary plate of fresh side salad. It was a sight to behold and a meal fit for a king. Although intended for 2 adults, the platter was more than enough for the whole family. The roast chicken was mildly seasoned, well cooked and tender and the rice was light and fluffy. The chicken kebabs and wings were beautifully cooked and the kids made sure they didn’t last long. Overall it was a great meal. The only area that fell short was the noticeable lack of sauces and chutneys which would have complimented the meal and completed the experience. The portion was so large that we were not able to finish it and had to arrange for a take away pack which the waiter promptly arranged. The experience cost under £30, this was a bargain. We didn’t order dessert but noticed a range of sweet dishes and beautifully decorated cakes on the way out as well as other diners mingled and enjoyed their coffees and hot chocolates. We enjoyed our first experience at Al Rabie and hope to return again someday. It is a versatile venue and can be visited for a quick coffee (with something sweet) or a full course meal. The restaurant also offers a lunchtime buffet which runs Monday through to Friday for those who want to try out a buffet option over lunch.